Light, comfy, mellow with a cheerful zing; elegantly sweet. One of our favorite places to visit, Nicaragua also provides us with a wonderful coffee year after year. 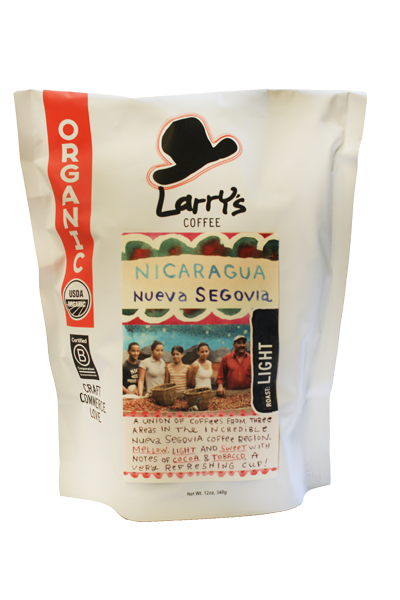 This sweet and luscious coffee is grown in the Nueva Segovia region, in the lush mountains that form the border between Nicaragua and Honduras. It really sings with the characteristics typical of a clean Central American. Light-bodied with a crisp and refreshing acidity, the cup swirls with notes of chocolate, tobacco, and a deep, rich nuttiness. It finishes with seemingly endless flavors of brown sugar. The roast is light-to-medium, just dark enough to bring out those chocolate notes but not too dark as to obscure the lively acidity. 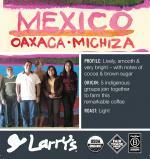 Sweet, chocolatey, soft acidity, nutty, medium bodied.